Space Grey glass wall tile with a subway mosaic pattern. 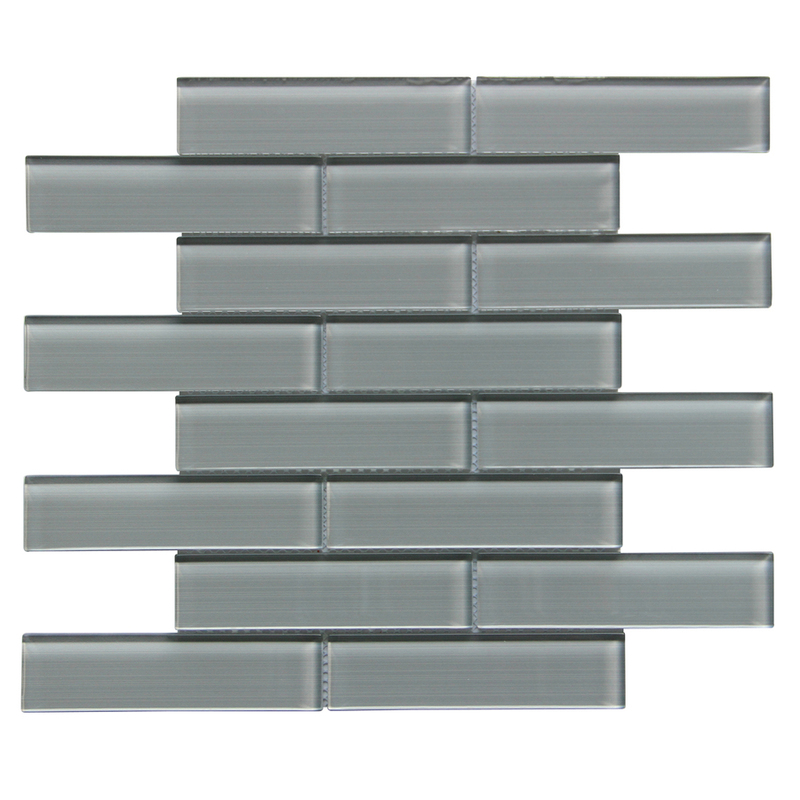 Space Grey glass wall tile with a subway mosaic pattern and linen lines creates a stunning look for your space. Smooth, glossy surface creates an eye-catching sheen. Impervious tile is designed for any indoor wall application, including wet areas like bathrooms and showers. 12.52-in L x 11.73-in W x 6mm thick tile covers 1.02-sq ft. Each piece is 1.5" x 6". Chemical resistance protects against staining and damage. Sold individually, so you can purchase the ideal quantity for the project.